Getting a good web hosting company is essential in keeping your website accessible at all times. There are many web hosting companies to choose from and different pricing plans to think about. But you have to choose a host provider that has a reliable service. If your site is down or when visitors have to wait longer than usual, it may lead them to click out of your site. I should know, been there done that. As you may have already known, this site suffered from several downtime last week. Anyway, it is really very important to pick the right web hosting company right from the start because the process of changing web host is stressful. So before you sign up with a web hosting company you have in mind, you must read reviews and testimonials first. Consider the reviews that are less favorable to the web hosting company, as it may happen to you as well. If you’re looking for new web hosting service, Web Hosting Rating is the place to read reviews and testimonials on web host providers. 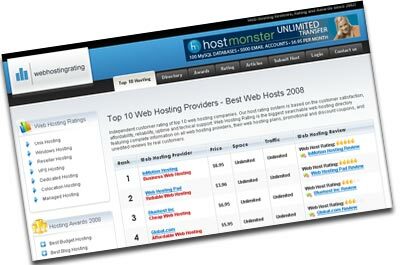 They have independent customer ratings of the top 10 web hosting companies. They have a comprehensive directory of different web hosting companies with complete information on web hosting plans and unedited reviews by real costumers. Not only that, you can also read on different articles about cheap web hosting, linux and windows web hosting, managed hosting, multiple domain hosting and a lot more. Amor, I agree with you. I usually click out of the site if it loads very slow. To think that we have to visit more sites sometimes. Korek, mahirap talaga maghanap ng webhost na 99% ang uptime, in one way or another nagkaka problema din siguro sila. Anyway, what’s your webhost? Yung host ko medyo nag-i-start na ata mag-decline ang quality nila. Tuwing weekend ng madaling araw (Manila Time) nagda-down lahat ng site ko due to their “maintenance”, “investigation”, etc. that last for at least 15 mins.. minsan 45 mins pa.
Ako rin eh, hehehe. Lately bumagal ang *mga* sites ko. Tinawagan ko pa host for them to fix any errors. hirap talaga pag shared environment ano. Madalas din down yung site ko pero inaabot lang naman ng ilang minuto. Siguro nangyayari lang talaga yun, pero di naman madalas. Buti sa inyo ilang minuto lang. Sa akin naman may time na sandali lang din, at sana di na tulad ng dati na inabot ng syam syam. In fairness naman sa webhost ko, kaya nman nag down ay dahil nag upgrade at kadalasan ay nag re-restart sila dahil daw sa mga malicious script. First of all, congrats fren. May pang-burger ka na. lol! Second, I really have this natural inclination for speed. 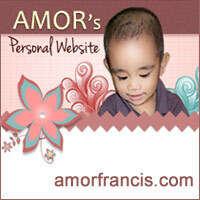 I have tried 4 web hosting companies before untl I got satisfied with my present web host. Gusto ko ngang gawing business ang pag-resell ng plans pero kinapos sa budget. Masyadong malaki ang gastusin. Pag kumikita na siguro ako ng $3K-5K per month bibili ako ng sarili kong srver at generator. For now, I’ll lease muna. Wow friend, pwede ba akong isama dyan sa give away na yan? I’m so interested, please please pulis… haha!